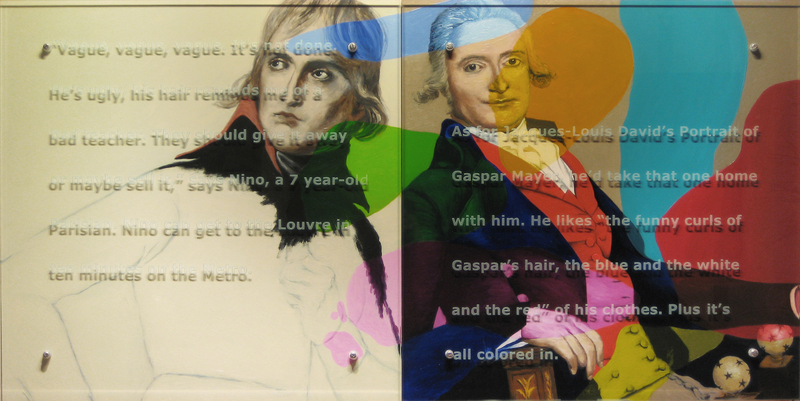 Some months ago I launched Repainter Diaries with the back stories behind paintings I was making for an upcoming gallery show (Ken Aptekar: Recent Portraits, March 11 – April 17, 2010, James Graham & Sons, NY). My encounters with my portrait subjects brimmed with juicy material, certainly more that I could contain in each of their portraits. 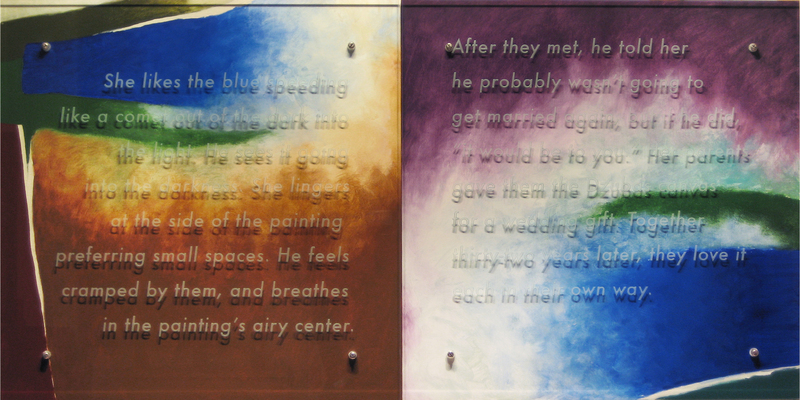 I didn’t bolt the glass panels that carry my texts to the painted panels until two days before installing in the gallery, so I couldn’t include images of the actual paintings in those early posts. But I also admit to heating up a little suspense about the final results. Now, of course, the exhibition is over. So I thought it might be a good idea to post a virtual gallery visit for those who couldn’t make it. Also included in the exhibition (but not here) was a series of works based on a historical portrait of Queen Charlotte, and now being installed in the new Mint Museum in Charlotte, NC. Those will be the subject of a later post. I’m thinking now about new portraits, and hereby open the floor to any and all suggestions! If it’s someone famous, I would appreciate a personal introduction; celebrities can be so elusive! Anyone close friends with Michelle O? 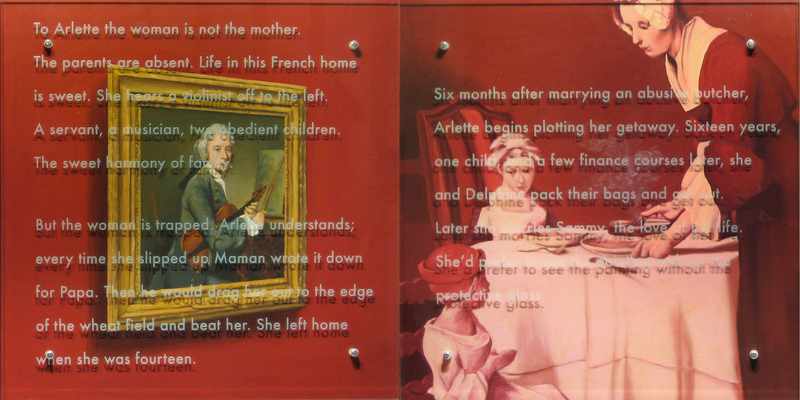 Ken Aptekar, PORTRAIT OF ARLETTE L'HOPITAULT, 2010, 30" x 60"
To Arlette the woman is not the mother. is sweet. She hears a violinist off to the left. A servant, a musician, two obedient children. The sweet harmony of family. and Delphine pack their bags and get out. Later she marries Sammy, the love of her life. 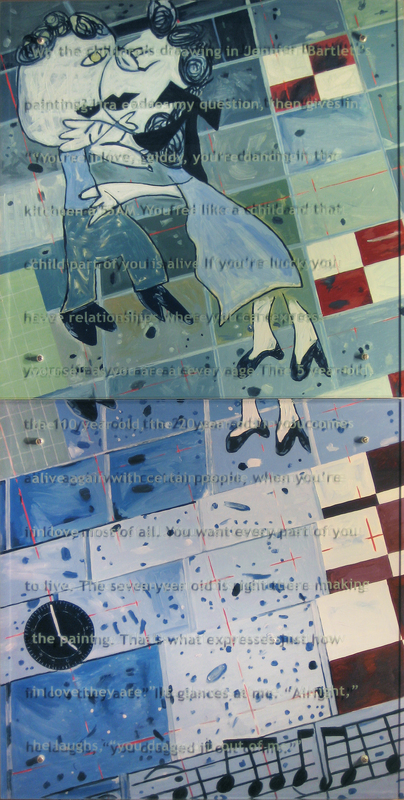 Ken Aptekar, PORTRAIT OF IRA GLASS, 2010, 35" x 70"
painting? Ira evades my question, then gives in. 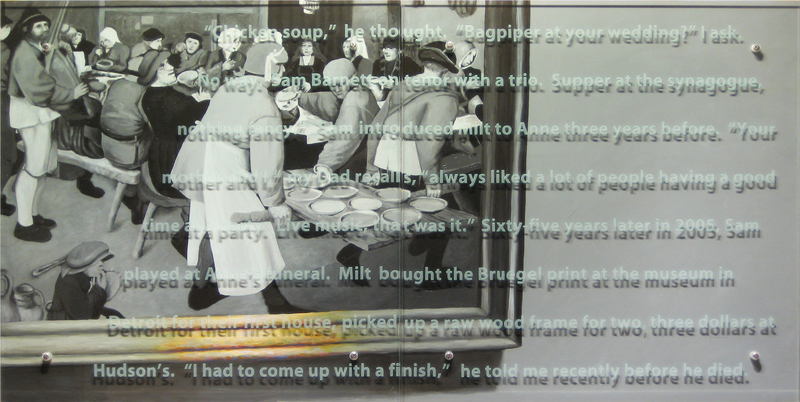 Ken Aptekar, PORTRAIT OF THE ARTIST'S FATHER (MILTON APTEKAR), 2010, 30" x 60"
“Chicken soup,” he thought. “Bagpiper at your wedding?” I ask. Hudson’s. “I had to come up with a finish,” he told me recently before he died. 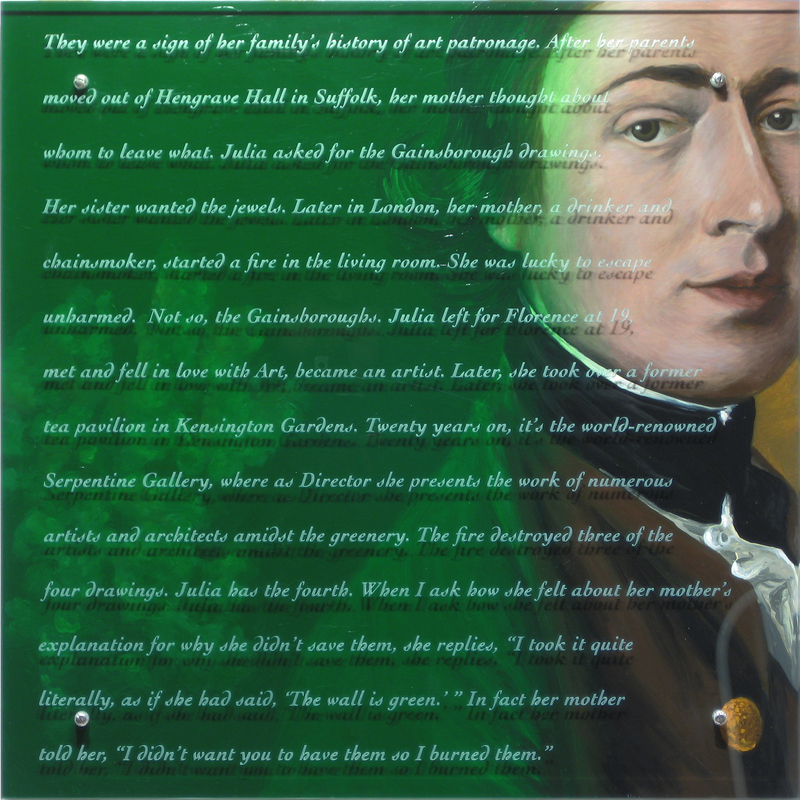 Ken Aptekar, PORTRAIT OF JULIA PEYTON-JONES, 2010, 35" x 35"
whom to leave what. Julia asked for the Gainsborough drawings. 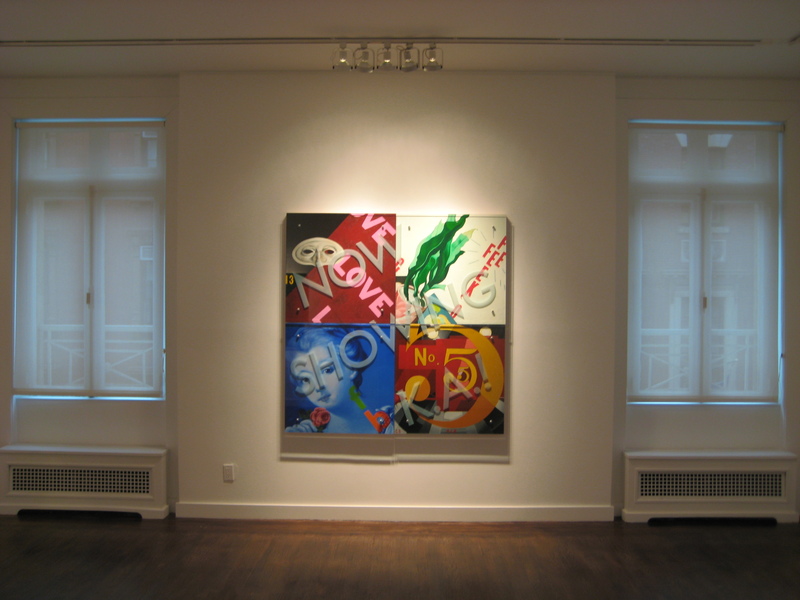 Ken Aptekar, PORTRAIT OF JULIE & PETER CUMMINGS, 2010, 30" x 60"
in the painting’s airy center. Ken Aptekar, PORTRAIT OF SAIED AZALI, 2010, 60" x 30"
them were doctors. They were never around. before my mother died, I went to her and tried to understand. bruised, distant, reminds me of my brother in Australia. If my parents said Sit, he’d sit, and be miserable obeying. I don’t want to be there. week I picked up the phone to call her. 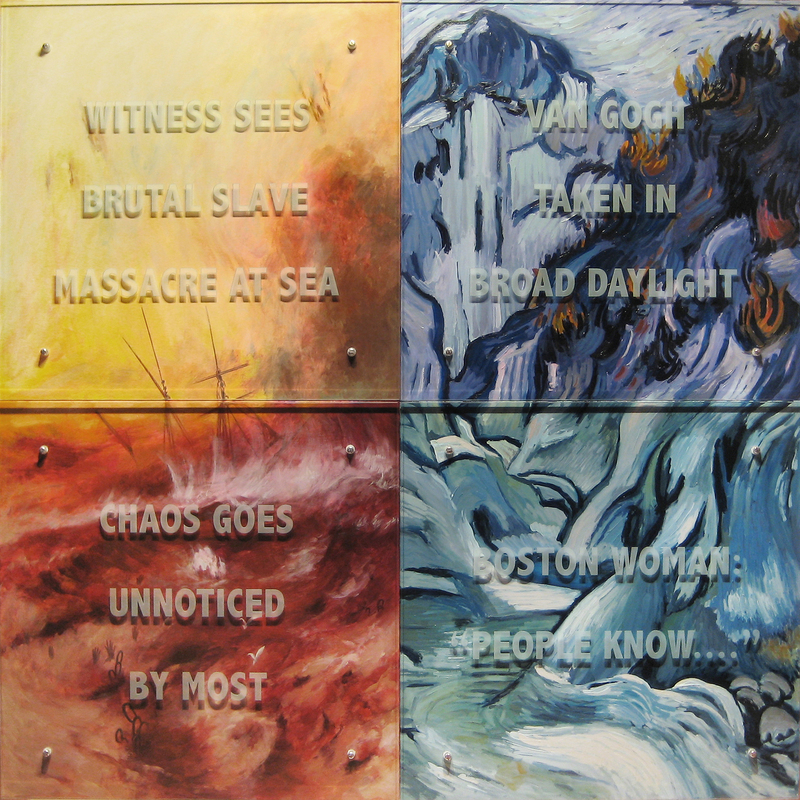 Ken Aptekar, PORTRAIT OF SUSAN WHITEHEAD, 2010, 60" x 60"
Ken Aptekar, PORTRAIT OF NINO ALCOCK-BOSELLI, 2010, 30" x60"
“Vague, vague, vague. It’s not done. ten minutes on the Metro. 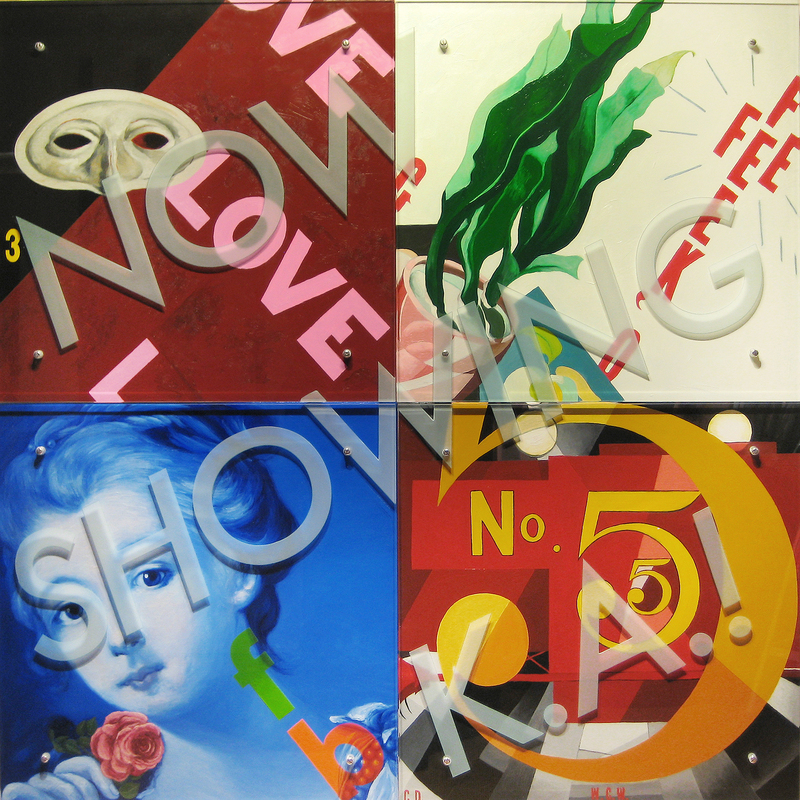 Ken Aptekar, PORTRAIT OF THE ARTIST, 2010, 60" x 60"
Text on glass: NOW SHOWING K.A.! 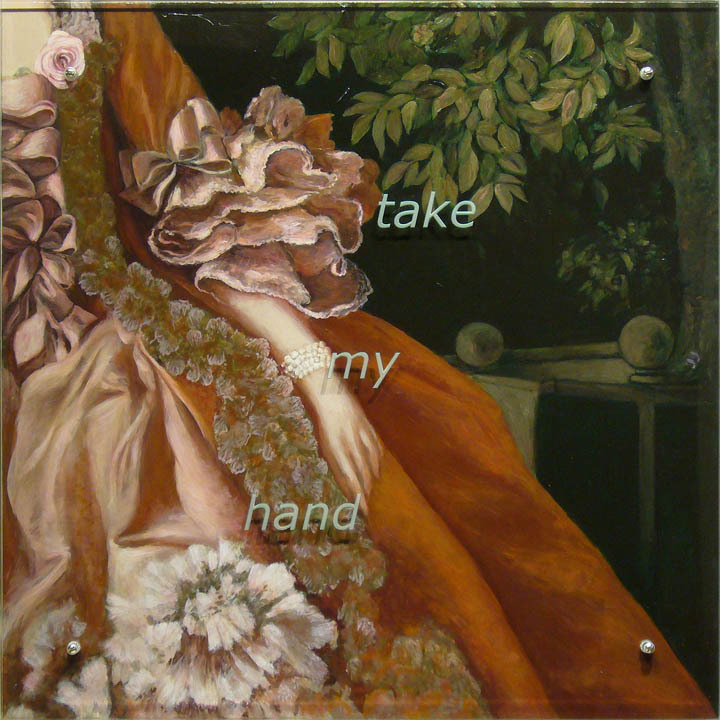 Ken Aptekar, TAKE MY HAND (Portrait of Mme de Pompadour), 2009, 35" x 35"
These paintings are so lovely! I wish we could have been there. Isn’t it time there was a ‘chunnel’ between London and NY? Would like to see you do some prints related to the Portrait of the Artist theme. Have one from your series Red Read, but would like to get a chance to add other prints that become available.